Shopping for LEGO Juniors Construction Toys? Be part of the LEGO City construction crew! Set up the roadblock, get behind the wheel of the dump truck and empty a load of building supplies at the site. Use the walkie-talkie to guide the wrecking ball to knock down the brick wall before you hop in the digger and help the crew raise the beam on the new building. There's always something exciting to do at the LEGO Juniors construction site! 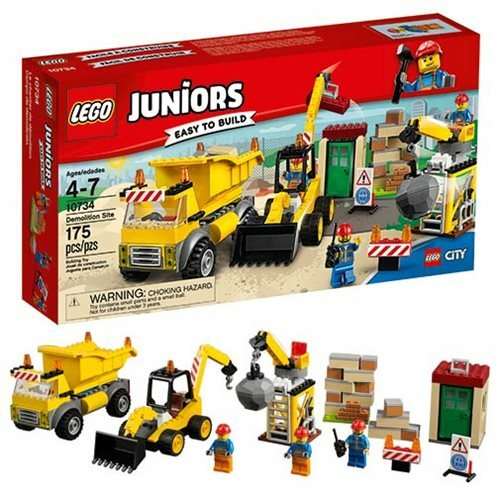 The LEGO Juniors 10734 Demolition Site includes 175 pieces. Ages 4-7.